Ground/Passage: Poetic mapping of Russell Island presents a textural and visual poetic mapping of the island that has become artist Sharon Jewell’s home over the past decade. The works have developed from an increasingly intimate view of this world while at the same time, they reflect a more pervasive reverence, expressed through the careful selection and handling of materials, in both sculptural and drawn form. Whilst recognisable forms are evoked – mangroves in particular – it is also the more intuited sense of islandness, such as an awareness of the edge, the rim that characterises much of the work. Jewell’s aim was not to split these perceptions up and present the island as a collection of discrete objects, but to offer a poetic sense at the moment of wonder. 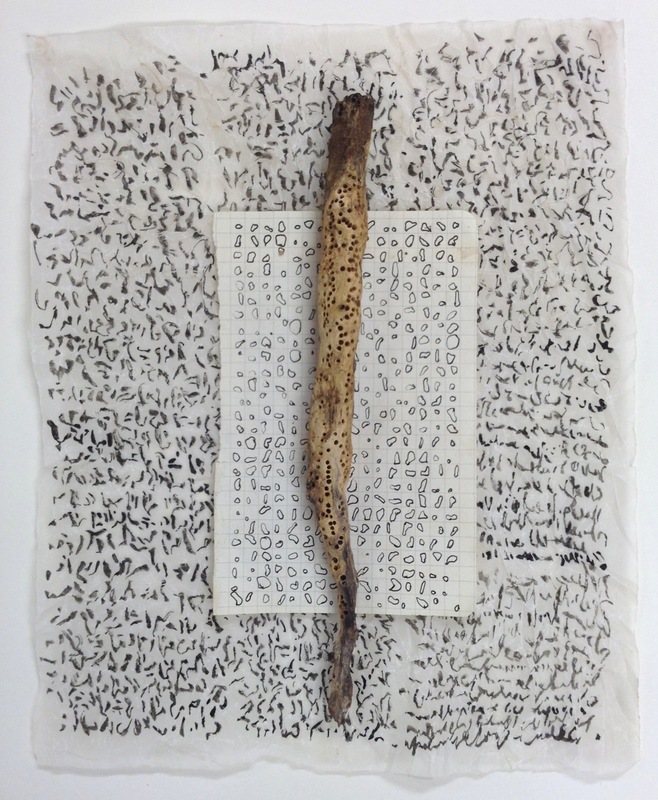 Image: Sharon Jewell, Writing to myself at home 2014, paper, pen and found object. Courtesy of the artist.